Our next market at the University of Manchester will be held on Tuesday 6th December 2016, 11.30am to 2.30pm, on Bridgeford Street M15 6FH. You can find us just off Oxford Road, next to the Manchester Museum. It’s nearly the end of term and oh no! We only have TWO MORE TUESDAY FOOD MARKETS left until we take a break for the winter. Make the most of us! 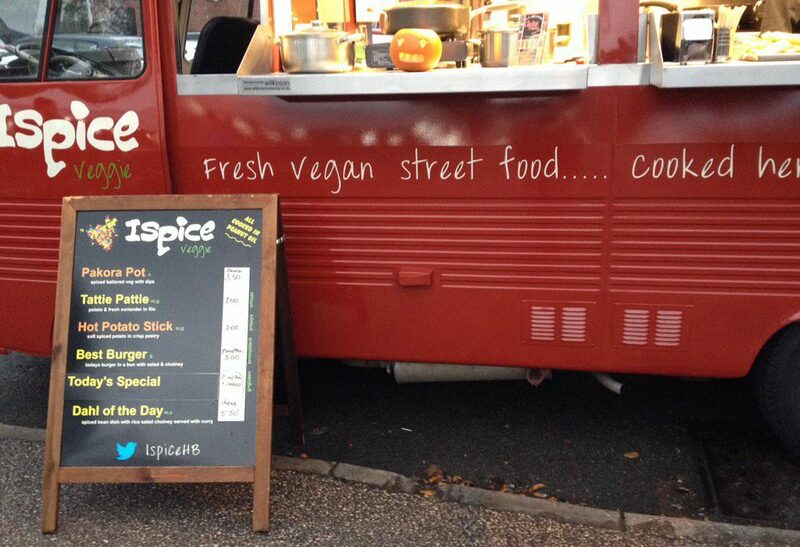 This week, we’ve got 18 stalls of warm, hearty street food for you, from vegan delights to big meaty mouthfuls. Enjoy cheesecake, patisserie and hot Fairtrade coffees, and buy your mini potted Christmas trees at the same time! We’ll see you all there on Bridgeford Street – don’t be late! Oh, and we’ve got lots of exciting things happening in Levenshulme too this Christmas, take a look here and pay us a visit one Saturday.